This stunning Cluse Minuit La Roche watch exudes contemporary elegance sophistication. 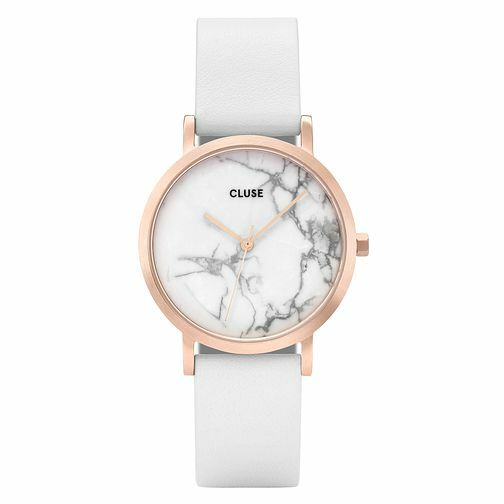 The slim silhouette delicately hugs the curves of the wrist whilst the unique marble white dial adds to the unique design. The dial is set against the genuine white leather straps for a sophisticated and stylish finish. This watch will soon become a treasured accessory within your collection.